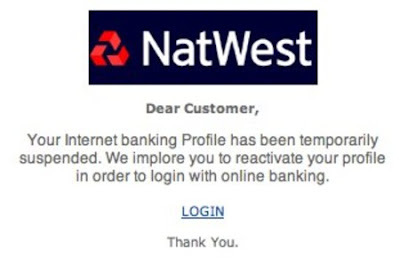 Russell Davies noted that this online bank notice is obviously fraudulent. Why? Because it feels like it was written by a real human. Banks don't tend to write like humans, unfortunately. Although RaboDirect.ie do. They have a nice tone.